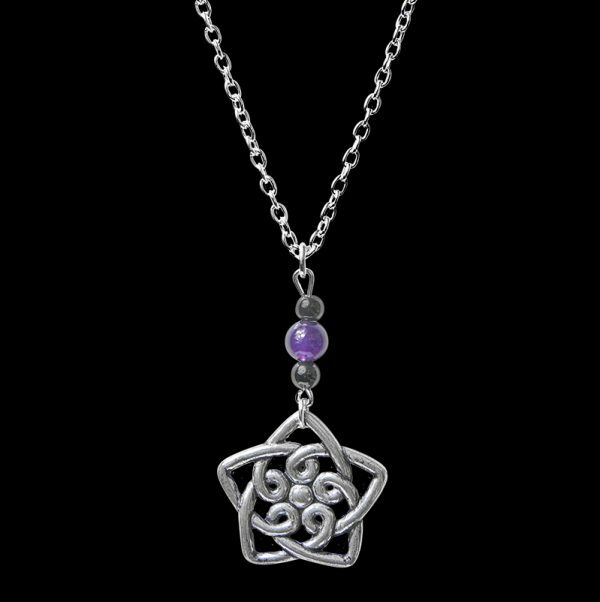 A delicate large pewter Celtic Star, with hematite filler beads and your choice of gemstone, hanging from a 16″ silver plated chain. 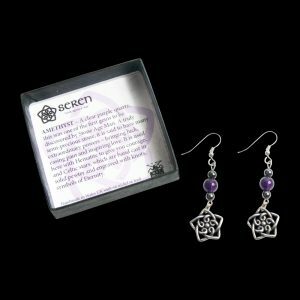 Beautifully boxed with information about your chosen gemstone inside the box lid. Make a wish!